The top three teams did not run particularly well and showed signs of weakness regarding balance at their respective conference meets. At this point in time I think the top three teams are still in the hunt but none are by any means a lock. Speaking of being in the hunt, I believe it is still in the cards to be a Shorewood red October. I didn’t think so just a few weeks ago but after seeing the Woodland results and reviewing their state meet history since 2004 – 6 championships, 2 runner-ups and their worst finish being 6th last year – it’s worth remembering that we’ve been in this situation before. The Greyhounds put all 7 runners under 17:25 so don’t be surprised if on the day of the state meet you see the signature checkered jerseys on the podium as balance is going to be the key in winning this title. Shorewood has certainly closed the gap on Omro who themselves have certainly closed the gap on Wisconsin Lutheran since Lourdes. Other teams who shook up the rankings are Cedar Grove-Belgium, Grafton and Platteville. It is hard to argue these teams’ front runners and how much that is worth in a state meet setting. And of course, what set of D2 rankings wouldn’t be complete without Freedom, Oconto Falls and Luxemburg-Casco flip flopping again? Freedom came out on top this time. Are you familiar with the GNC course that Lakeland ran on? Times look quite a bit faster for all teams. The same could be said for the McKichan meet or Wisconsin Lutheran at McSkatey Park. I really don’t think any of the top three teams ran that well and the only reason they are held in those spots is because of other respectful performances throughout the season. I’d be most concerned with Shorewood and Omro who seemingly have the balance to beat the top three teams. Times were definitely fast for those other courses as well. I know nothing of where the GNC meet was held so no comparison, didn’t know if anyone has any info. I think Nine Mile Forest is often a WVC conference site too. I don’t think times looked too fast. Kav FitzPatrick has good genes and is an xc skier. He could be 16:20s at state easily. Northland Pines, Medford and Tomahawk were in a pretty heated battle stemming from in season rivalries. Tomahawk had one runner DQed but it still wouldn’t have been enough to lift them. Tomahawk actually ran poor in comparison to their home invite a week ago where Medford dodged them. My top 2 teams would be Lakeland and Omro. I would pick the senior heavy Omro as the dark horse to podium. Lakeland is a well coached team and the addition of Dan Clausen (retired from Homestead) as an assistant coach must be a welcomed addition to the program. 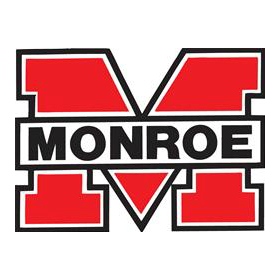 I do not have enough information on Monroe but historically they have been a great team. They stole the show from Shorewood a few years back and I could see them shaking things up this year. Wisconsin Lutheran appears to be going backwards the last few weeks with their 4-7 but it looks like Matt Olson is starting to come around at the end of the season. Shorewood could upset Wisconsin Lutheran if they match up with WL runners. Sectionals will give a better idea. Shorewood’s front 3 are looking stronger and the 4 second spread from 4-7 looks good. They will have to close the gap on their 3rd runner to be a threat for a podium spot. @zeeeblob go lakeland!! I can vouch for mr. clausen being a great coach and nice guy and a former excellent miler back in the day (he ran between 416-419 in his sectionals for hartford as a senior but didn’t have it at state unfortunately. I think it was 417 and that was one of the top qualifiers that year. @Goforthewin it is strange not seeing Coach Clausen in SE Wisconsin! Great to see him at meets in Northern Wisconsin and glad to see that he is able to share his knowledge with other schools after he retired. Just wish the school was not in my division.